In Lower Thames St, where the traffic roars past old Billingsgate Market and around the Tower of London, there is an anonymous door that leads to the past. It is a piece of spine-tingling magic. 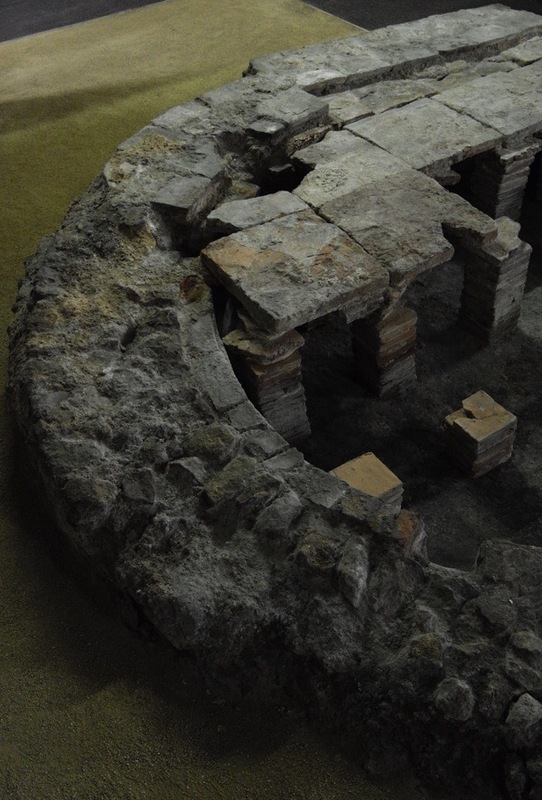 You walk through a modern door into an unremarkable corporate building and descend a staircase to discover the best preserved piece of Roman archaeology in London. Here is a second century riverside villa with an bathhouse of cruciform shape complete with an elaborate underfloor heating system. 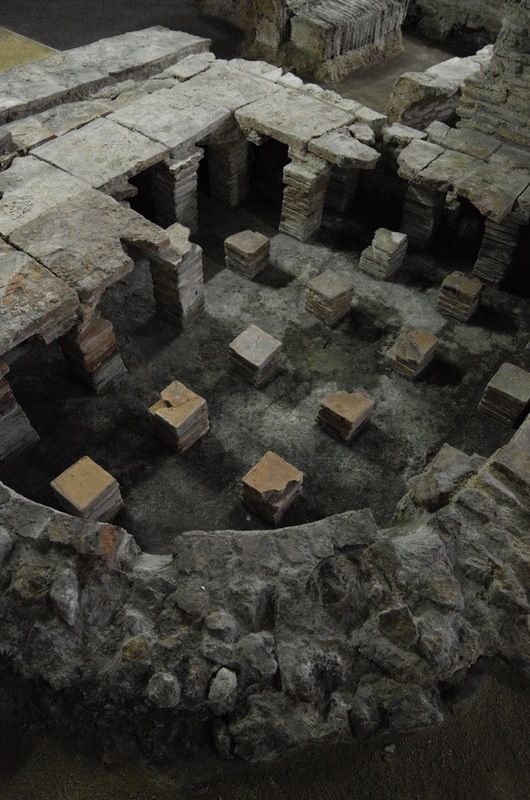 You can see the square frigidarium with its tessellated floor and then the smaller rooms with curved walls, the tepidarium and the caldarium, with tiled floors supported upon pilae permitting the hot air to travel underneath. In these rooms, water could be thrown upon the heated floor to create clouds of steam. For those who originated in warmer climes, the bathhouse provided a welcome antidote to the misery of cold winters in London. 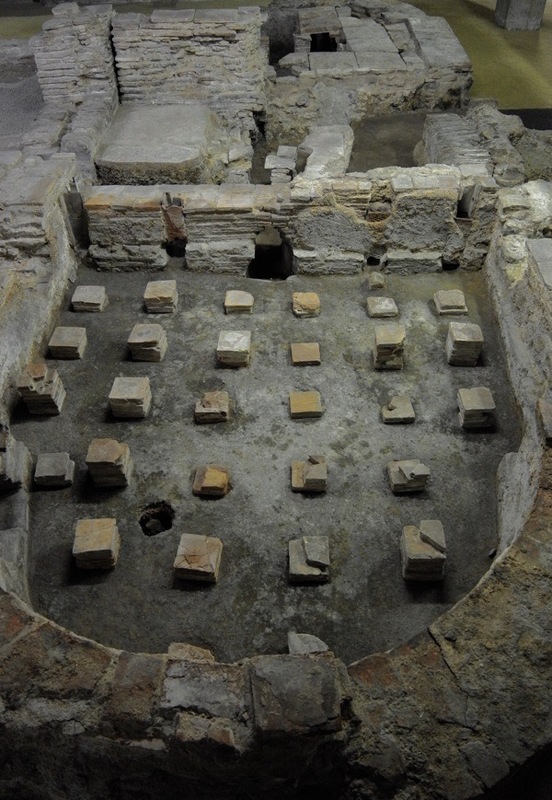 The bathhouse was first uncovered in 1848 during the construction of the London Coal Exchange and drew a response of such wonder that – unlike many other ancient remains discovered in the City in that era – it was preserved. 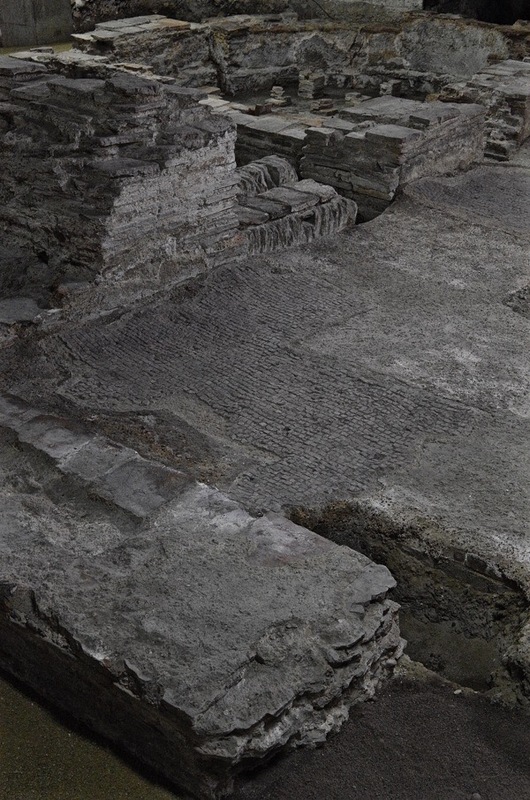 When the Coal Exchange was demolished in the last century for the widening of Lower Thames St, more of the Roman ruins were uncovered before being concealed in the basement of the block where they are housed today. A century after the bathhouse was constructed, a six metre defensive wall was built along the water front, concealing the river view and blocking out the light. It was then that the bathhouse was expanded within the garden of the villa and perhaps the dwelling changed from a desirable private house to some form of temporary lodging, with the added attraction of a steam bath. 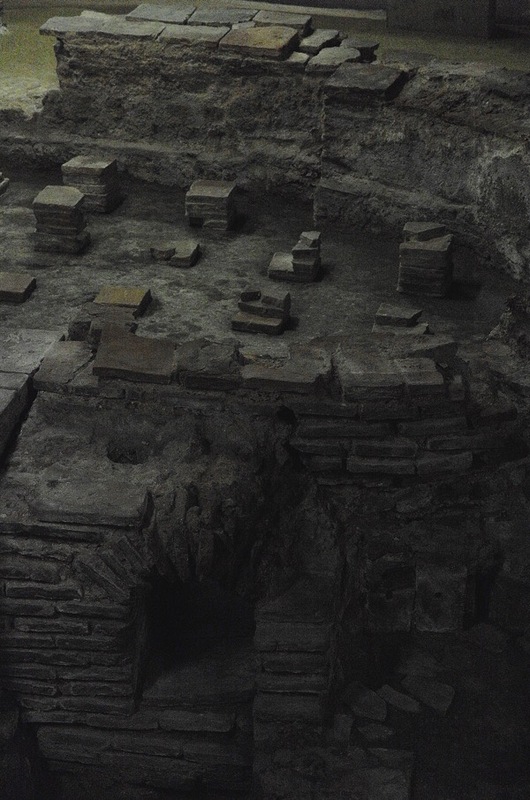 In use until the Romans departed London in the fifth century, the bathhouse then fell into disrepair and collapsed before being covered with a layer of silt, preserving the remains and preventing anyone carrying off the building materials for reuse. Tantalisingly, a Saxon brooch was found on top of the pile of collapsed roof tiles dating from a time when this part of the City of London was uninhabited. Did someone from the nearby Saxon settlements come to explore the Roman ruins one day and slip upon the rubble, dropping a brooch? When you walk upon the metal gantries over the Roman walls, you feel you are a ghost from the future eavesdropping on another time. 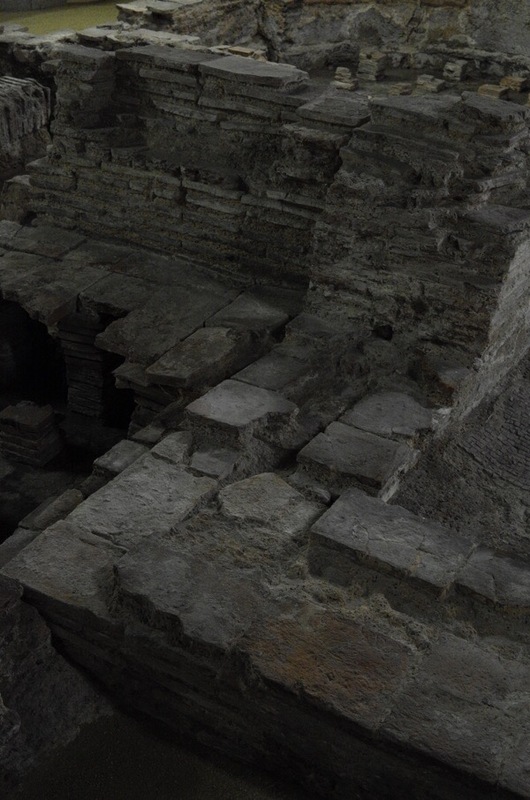 The scale of the rooms is apparent, the stone bench in the steam room is discernible and you can see the fragments of worn floor, smoothed with centuries of use by the long-dead. 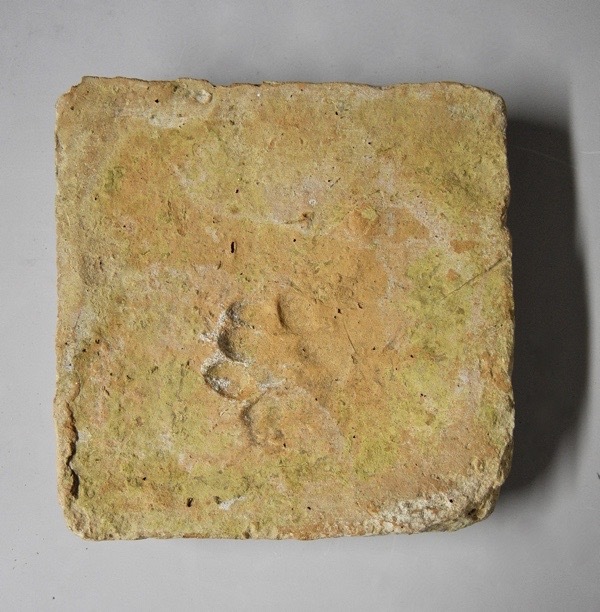 Square pipes, tiles and other details of the construction reveal the work of skilled craftsmen in ceramic and brick, and a single tile bears the imprint of a dog’s paw that wandered through the brick maker’s yard in London seventeen hundred years ago. 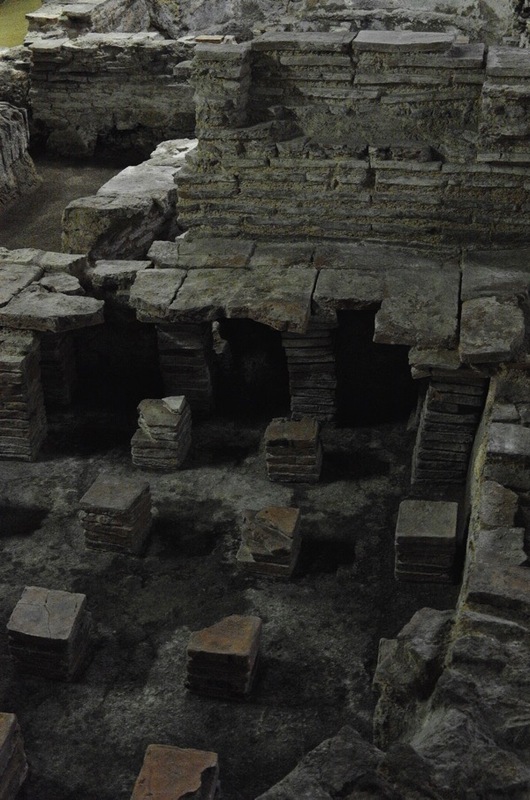 Explore Billingsgate Roman Bathhouse for yourself any weekend until 12th December – visit the Museum of London website for further information and booking. Additionally, the Bathhouse will be open for free and without booking on 19th & 20th September as part of Open House weekend. Brilliant, thank you. I will go to see this. This blog is consistently of a very high standard. For Roman remains in Britain this is almost as good as it gets and I wasn’t aware of it. 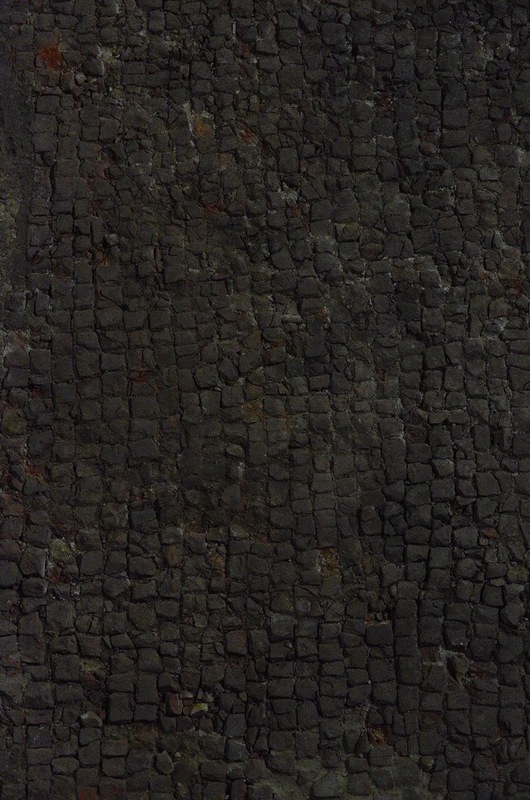 I’ve just come back from a week in Shropshire and a visit to Wroxeter which has a the remains of an immense bath-house suite but apart from the Old Work (a free-standing wall of 15ft in height) there is nothing comparable to this. Thank you for introducing me to this one! I don’t understand how all these rather intact places come to be covered up and the street level rises with these things still below. I’ve been to several such sites in Italy and France and always come away with this same question! If the place is there, how and why does it get built upon? Does the originally site get filled in with dirt and rubble, and then the new building gets built upon it? And then how is it excavated when there’s a new building on top? There’s a site in Rome that has a bottom-most layer of a BC Roman temple, then higher up there’s an early Christian church, then on top of all of that is an existing church (Renaissance era, I think). It’s so mysterious. The whole street is the same level, so presumably there is layer upon layer of old buildings underneath. I’d love to know more about the process if anyone knows! Wonderful to read this, I had no idea it was there ! 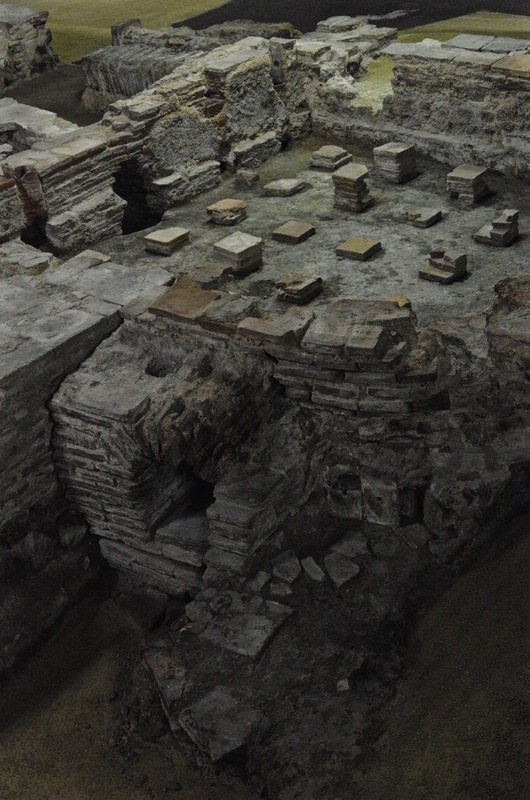 I have tried to find the site relating to the Baths, and it appears it is not updated, 2011 ! I went to see this with friends, absolutely fascinating to know it is there and for all the years I have lived in London, as a child and adult, never knew it was there, especially as I remember the area before the new road went in. Also the fact an office block has been built above it and yet it has been saved.